Russian Orthodox Cathedral of the Holy Virgin Protection at 59 East 2nd Street in Manhattan’s East Village. Image: LPC. Parishioners of 1890s-era Russian Orthodox Cathedral argued that landmarking would add to struggling church’s financial burden. On March 23, 2010, Landmarks heard testimony on the possible designation of the Russian Orthodox Cathedral of the Holy Virgin Protection at 59-63 East 2nd Street in the East Village. Formerly known as the Olivet Memorial Church, the Kentucky limestone-faced, Gothic Revivalstyle church was built in 1891 by J.C. Cady, a prominent architect who also designed the American Museum of Natural History’s south addition. 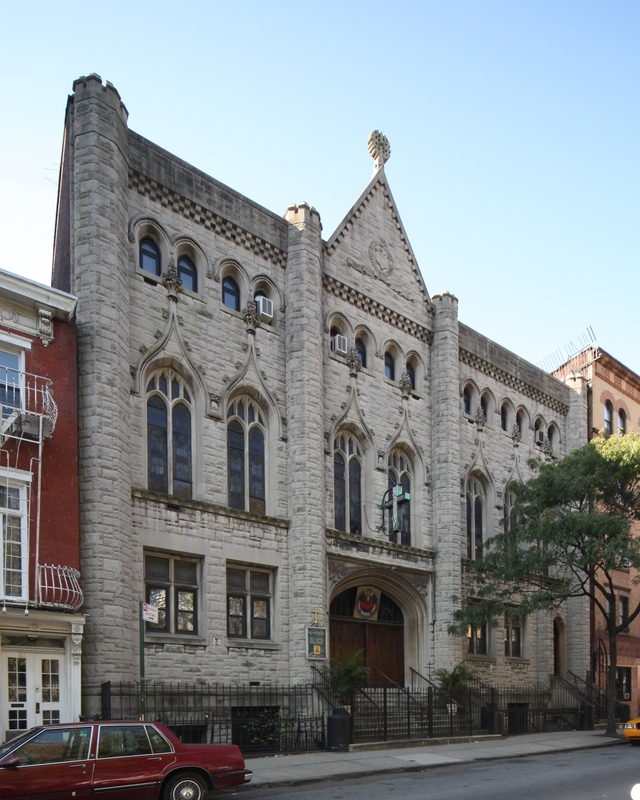 The New York City Commission and Tract Society, now known as the New York City Mission Society, opened the Mount Olivet Church as a non-denominational church to serve the local community of Southern and Eastern European immigrants. In 1943, the Society sold the property to what is now known as the Orthodox Church in America, which continues to occupy the building. Council Member Rosie Mendez, whose district includes the East Village, testified in support of designation, stating that the building possessed “a rich blend of history, culture, and architecture.” She cited the church’s recently considered development plans as a reason why the building needed landmark protection. Elizabeth Finkelstein, of the Greenwich Village Society for Historic Preservation called the church “one of the East Village’s historic jewels.” Addressing parishioner concerns, she noted that resources exist to assist institutions maintain and restore historic properties. LPC: Olivet Memorial Church, 59 East 2nd Street, Manhattan (LP-2392) (March 23, 2010).